People, versed in modern technologies have a great opportunity to earn online. Nowadays, it has become, really, relevant and profitable. Usually, money, obtained one way or another, translated into their own electronic wallets, the most advanced providers of these services is: Yandex. Money and Wm (webmoney). It's easy enough, much more difficult to get your hands on your savings. In this article, we shall understand, how to cash money purse Yandex. In another system, the process will not be much different. Basically, changing only the commission and the terms of transfer. Get your money, you can use the transfer to a bank card, if available. Important, so you have a Visa card, or Mastercard. The latter is considered to be more convenient, tk allows transfers in most of the, than the first embodiment. If you are performing operations in Russia, then the service is not relevant to you. To cash out money, it is desirable to link your account, but this is optional. In this case, you will be charged 15 rubles and an additional commission in 3% of the total amount. by the way, translation realized much faster, if you use “alpha-Bank”. You can also use other methods, eg, via CONTACT system you can transfer money within 2 working days. For, to certify that the employee system, that indeed you want to withdraw money from her purse, you need to show your passport. After that, you will fill out an application and leave it at the operator. 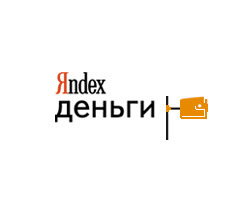 The most optimum one for Yandex system is to create a personalized card from Yandex. As the service provider itself, and you get a huge number of advantages, if you use the card. You only need to fill out a form and pay for the service, She is standing 199 rubles. After that, how do you get the map, you will be able to withdraw money from any terminal, as well as pay for any purchases in stores. Now the question, how to cash Yandex. Money, almost closed. There is another good method, which may come for you. You can by all means to transfer to a bank account in Russia. It is important to know, that this method will be relevant only if, if your account belongs nat. person, and a ruble. commission is 15 rubles 3% of the total amount. Also, you will have to pay for bank services, usually the customer will be charged 1-2% of the total. The exact commission is best to find out from the staff of a particular bank, and only then carry out all operations. Translation should come within 7 days. When technical issues may be a slight delay. It is important to know, the bank may reject the operation, related to the money transfer. In this case, the commission paid to you will not be returned. Before, how to produce a translation, Pay attention to the minimum amount of withdrawal and commission, you will take with you. Check with the specific business data, you are interested. Now you know, how to cash Yandex. Money.